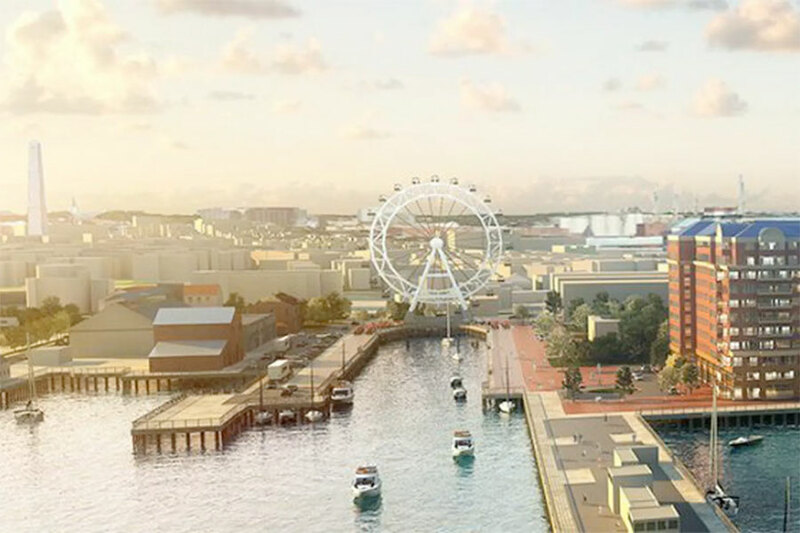 Not even three months after one of the proposals for rejuvenating the Charlestown Navy Yard called for a 180-foot observation wheel on its Dry Dock 2 comes news that a group of developers unrelated to that effort is shopping the idea of a 200-foot wheel at Long Wharf, Christopher Columbus Park, or another waterfront spot. According to the Globe’s Tim Logan, the Long Wharf wheel would extend over the water and would be part of a two-building complex with outdoor seating. Plans are still very preliminary, and the would-be developers face myriad challenges, not least height limitations on the waterfront. As the push for an observation wheel on the Boston waterfront apparently heats up—who saw that coming?—it might be worth looking down the coast at what happened in Staten Island, New York. There, developers spent hundreds of millions of dollars—with support from New York City officials—trying to build an observation wheel on the borough’s northern shore. Delays, cost overruns, etc., led to the plan’s collapse in late 2018. Massachusetts General Hospital says it will spend more than $1 billion to expand its Boston campus to address growing capacity challenges. 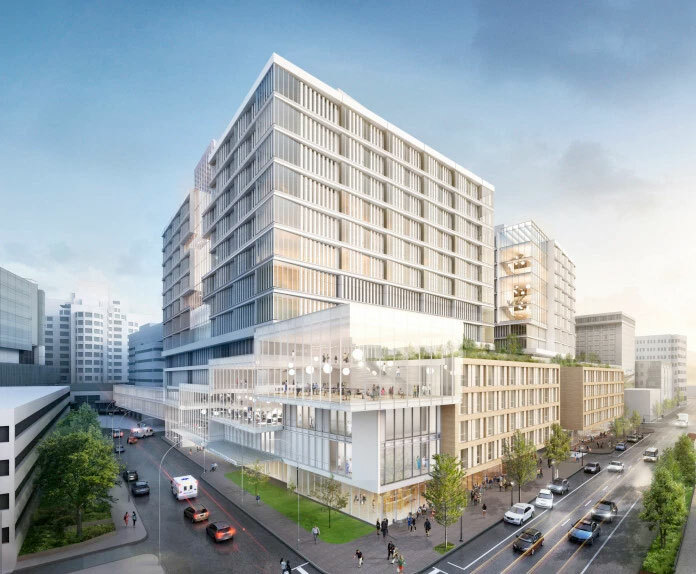 In an email sent to employees Tuesday, MGH president Peter Slavin announced the hospital plans to build a 12-story structure for 450 single-bed rooms housed in a pair of connected towers. The new building is a “much-needed, vital structure that will enable the MGH to deliver 21st century care in a 21st century environment,” Slavin wrote. The new additions will be located entirely within MGH’s current campus, with a facade along Cambridge Street, extending from North Grove Street (the main hospital entrance) to Blossom Street and going back to Parkman Street. MGH, which is owned by Partners Healthcare, will file a letter of intent with city planners at the Boston Planning & Development Agency today. The hospital’s major development project is slated to start in 2020 and completed by 2026, Slavin wrote in his email. Below the building will be six levels of underground parking that can accommodate more than 1,000 vehicles, Slavin said, replacing the spaces from the hospital’s Parkman Garage. Several MGH buildings will be demolished and redeveloped. The hospital’s announcement comes as Boston Children Hospital’s $1 billion Longwood campus expansion is underway. 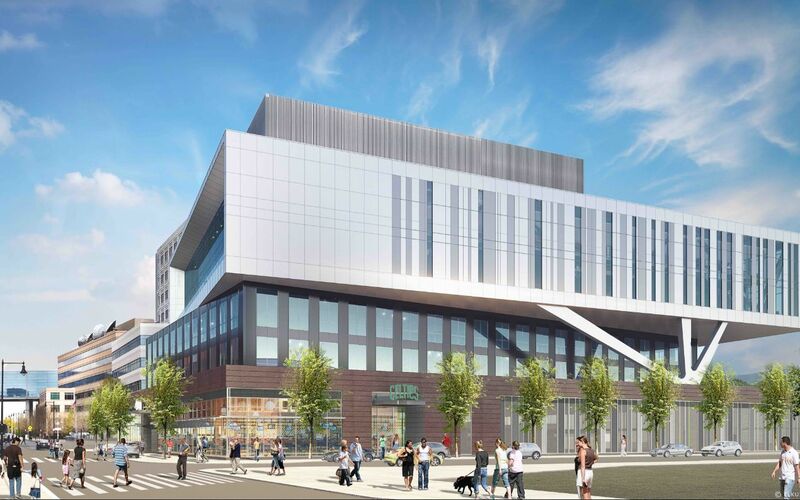 Children’s plans to complete its new 11-story clinical building by 2021, adding 71 new beds to the existing 404 beds already there, and will construct a new outpatient center in Brookline. Slavin said he understands the large campus expansion “may raise questions about whether the costs of the facility will increase the overall cost of health care,” but assured employees a “significant source of funding” will come from philanthropy. Last week, the Pawtucket Red Sox, a Triple-A Minor League Baseball team, announced that they will move to Worcester, Massachusetts by 2021. 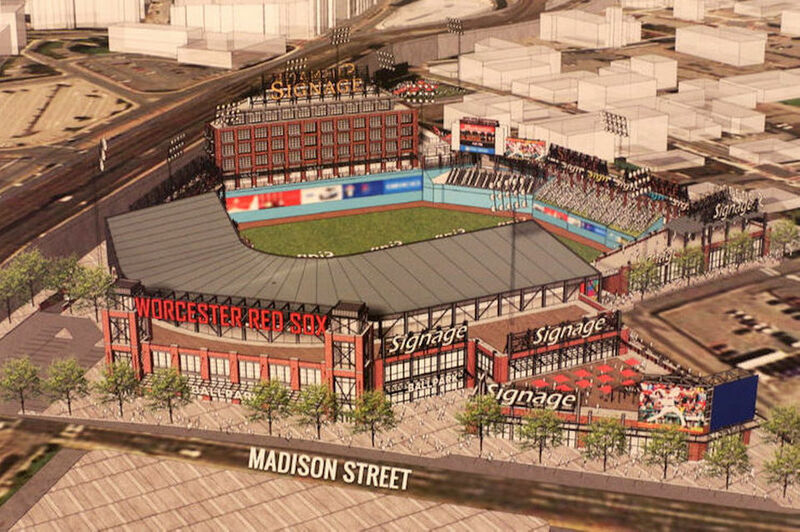 The move includes a new, 10,000-seat stadium in the city’s Canal District and a new name – the Worcester Red Sox (WooSox). Worcester’s real estate community have been optimistic that the Minor League move could contribute to a rise in developments throughout central Massachusetts. In addition to the $90 million Polar Park stadium being constructed in Worcester’s Canal District, developer Madison Downtown Holdings expected to construct 250 market-rate apartments, two hotels and 65,000 square-feet of retail and restaurant space in time for the team’s first game in 2021. Worcester, the second-largest city in New England, has been gaining residents for the first time in decades and is expected to surpass the 200,000 population mark for the first time since 1950. Worcester city manager Edward Augustus Jr., who received a standing ovation from the gathering crowd when the deal was announced to the public, acknowledges that a development was already in planning stages, but that the addition of the ballpark and state funding for infrastructure improvements to the area changed the plans drastically. The state is offering a $2.5 million tax incentive for Madison Downtown Holdings through the Housing Development Incentive Program for the residential portion of the project. 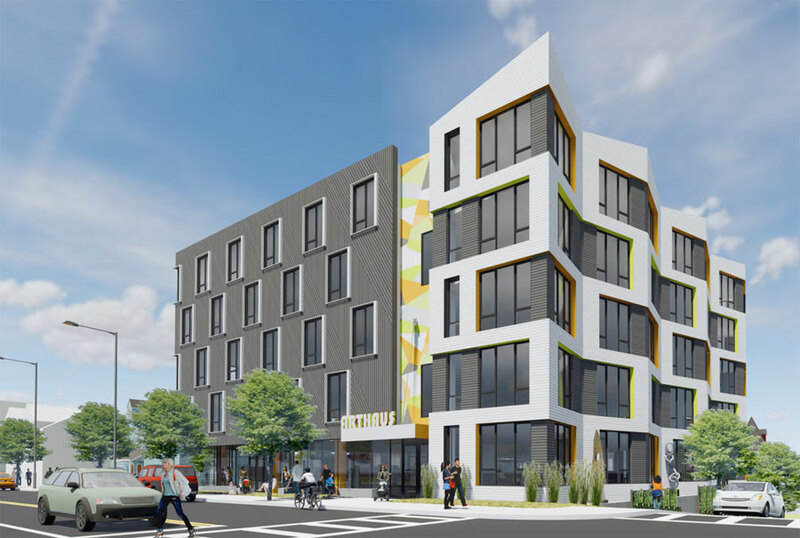 Worcester developers are anticipating that the surrounding district will spark a development boom and provide traffic to the area’s growing dining and retail scene. The city has seen a wealth of new developments and plans in recent months, including Citysquare – a $565 million mixed-phase development on the site of the Worcester Common Outlets mall. While Boston is expected to remain New England’s employment hub, we may see the formation of a niche for central Massachusetts. The approximately 14-acre, 1.76 million-square-foot Boston Landing in Brighton continues to unfold—the latest addition is the Celtics’ practice facility, which officially topped off in August. The complex when completed will include a 250,000-square-foot HQ for sneaker giant New Balance; a 325,000-square-foot Bruins practice facility, including rink; 650,000 square feet of Class A office space; a 140,000-square-foot, 175-key hotel; and a commuter-rail station. Some of that as already opened, including the New Balance headquarters and the station. As for the Celtics’ facility—dubbed the Auerbach Center after the late, great coach and team president—that is expected to run to 160,000 square feet and open in mid-2018. It’s rendered here. According to a Wall Street Journal analysis of state and local revenue collection and spending, public agencies are increasing their infrastructure investments and making a dent in projects that have been on back burners for many years. A strong economy has resulted in an increase in consumer spending, and all that new tax revenue is helping to drive not only infrastructure spending but municipal borrowing as well. In fact, according to October 2018 data, the latest available from the Commerce Department, total state and local construction spending — based on a seasonal adjusted annual rate — was up 9.7% from October 2017 to more than $288 billion. Commercial construction was up the most year over year at 62%, followed by amusement and recreation (30%), water supply (22%), public safety (18%) and transportation infrastructure (15%). Tax revenue, adjusted for inflation, grew by 6% in the second quarter of 2018 from the second quarter of 2017, according to a Tax Policy Center report. Year-to-date state and local government borrowing through October 2018 was up 19% from the same period in 2017, driven in part by a desire to take advantage of current interest rates in case they continue to increase. The pipeline of publicly funded construction projects, including those much-needed upgrades and repairs that have been shelved due to a previous lack of money, according to the newspaper, could make up for potential industry slowdowns. Many state and local residents around the country showed their commitment to public construction in November by voting for at least $24 billion of bond initiatives. Some measures that won approval included $16 billion for California construction projects. That measure included $3.5 billion of security and plumbing improvements in San Diego; $2 billion for homelessness prevention housing, $4 billion for other housing initiatives and veterans’ loans and $1.5 billion for children’s hospitals. New Jersey voters gave the green light to $500 million for school and infrastructure projects and were joined by North Carolina, where voters approved $548 million for school construction, and Oregon, where residents supported $653 million for affordable housing. In Collin County, Texas, which is part of the Dallas-Fort Worth metro area, voters said “yes” to $600 million for non-tolled highway construction. And while some voters don’t have a problem paying more at the pump in the form of extra fuel taxes to fund road upgrades and repairs — like those in California who rejected a repeal of a recent increase — some are still resistant. A Missouri measure that would have increased the state’s gas tax by 10 cents per gallon in order to pay for road and bridge work failed to pass. Allied Bolt and Screw stocks Stainless Steel Hex Bolts, Carriage Bolts and Lag Bolts and Threaded Rod through 1” diameter, in over 200 sizes. Allied also stocks Stainless Steel Finished Hex Nuts, Finished Jam Nuts, Heavy Hex Nuts, Kep Nuts, Acorn Nuts and Rod Coupling Nuts, along with Stainless Steel Flat Washers, Fender Washers, Lock Washers, Tooth Lock Washers and Bonded Neoprene Sealing washers. Allied Bolt and Screw stocks one of the largest inventories of Stainless Steel Screws including Machine Screws in over 1,000 sizes in 10 different head styles, as well as Sheet Metal (Self-Tapping) Screws in over 1,000 sizes in 10 different head styles. Allied stocks Stainless Steel Self Drilling Screws in Hex Washer Head, Flat Head and Truss Head in over 300 sizes. Allied also stocks Stainless Steel Deck Screws in both Phillips and Square Drives up to 6” in length, as well as Stainless Steel Thread Cutting Screws. 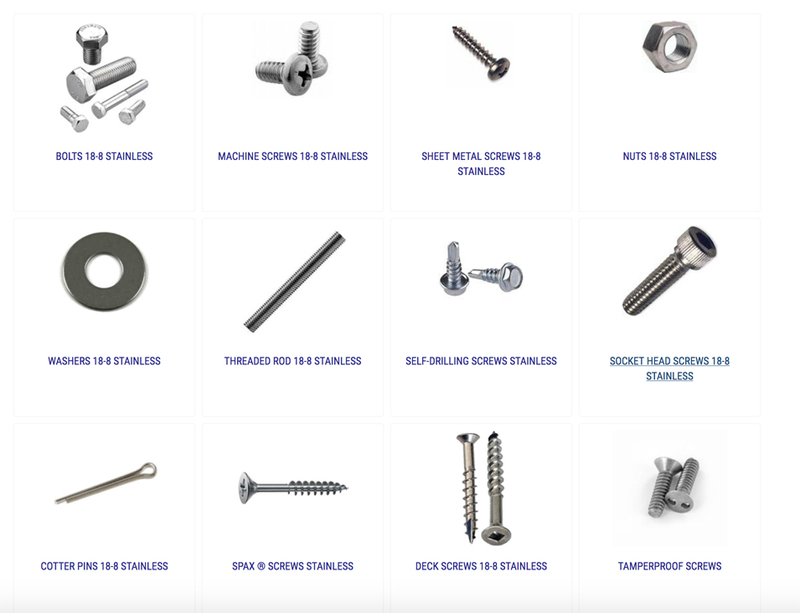 We are the top provider of Stainless Steel Fasteners as well as Hot Galvanized Anchor Bolts, Rods, Studs, Nuts, Washers, screws and 1000s of products. Allied Bolt & Screw can fulfill any building and manufacturing need. Contact Us for more information. Allied Bolt and Screw Corporation in Canton, Massachusetts stocks Eye Couplings in both ¼-20 and 3/8-16 thread sizes. They have a female thread on one end and a ¼” hole on the flat spade end. They are most commonly used with threaded rod for hanging fixtures, pipe, or other assemblies with either wire or hook from the spade end. The Threaded Rod and Tie Wire can also be purchased from one location in Canton, Massachusetts, Allied Bolt and Screw Corporation. We are the top provider of Zinc Plated Eye Couplings as well as Hot Galvanized Anchor Bolts, Rods, Studs, Nuts, Washers, screws and 1000s of products. Allied Bolt & Screw can fulfill any building and manufacturing need. Contact Us for more information.